Grab a chance to visit this majestic landmark near Mtskheta as Zedazeni Monastery is the ideal place to enjoy silence and peace. Zedazeni Georgian Orthodox monastery is located in Zedazeni, northeast of Mtskheta and to the east of the Aragvi River. 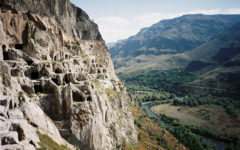 The monastery was founded by Saint John, one of the holy Assyrian Fathers of Georgia, whose mission it was to strengthen Christianity in the region. Legend claims that St. John deliberately chose this place for the fact a heathen idol once stood there. According to the original manuscript narrating the life and deeds of the holy father, after his death he was buried in a cave, as was his last Will. Shortly afterwards, a small church was built over St. John’s grave, later transformed into the larger church of St. John the Baptist, constructed at the end of the 8th century. To date, the church is the central building of the monastery. This three-nave basilica, with two pairs of roof-bearing columns, is built of mixed material – rubble stone, gallstone and brick. 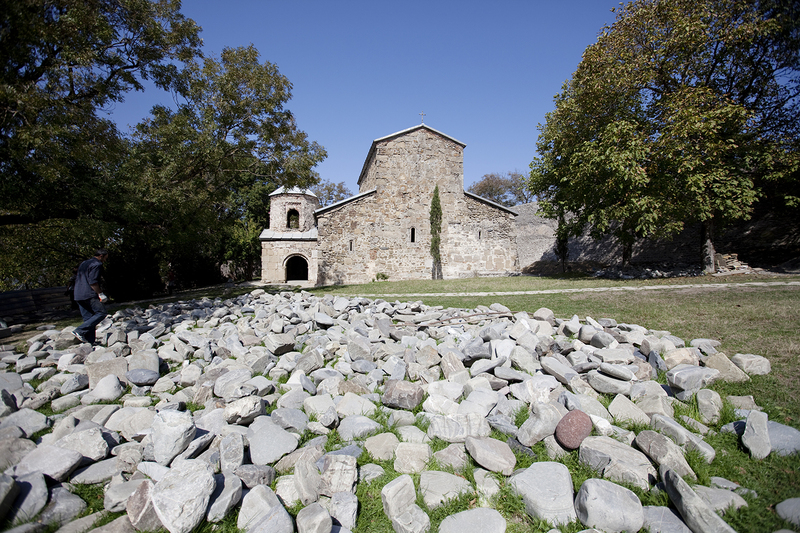 St. John Zedazneli’s grave can be found next to the northern wall. The church has a rather peculiar rectangular sanctuary, while conchs are arranged over tromps constructed in the corners. Quite possibly, the building initially had an opening from the west, most probably an arch, imitating the church of Saint Grave in Jerusalem. The central nave of the church strongly differs from the other two: it is higher, better illuminated and treated as if it were a separate hall, while the darkened south nave with a square room at its eastern end gives the impression of some kind of internal porch. The survived fragments of Zedazeni frescoes are of later times – most likely the 17th century.